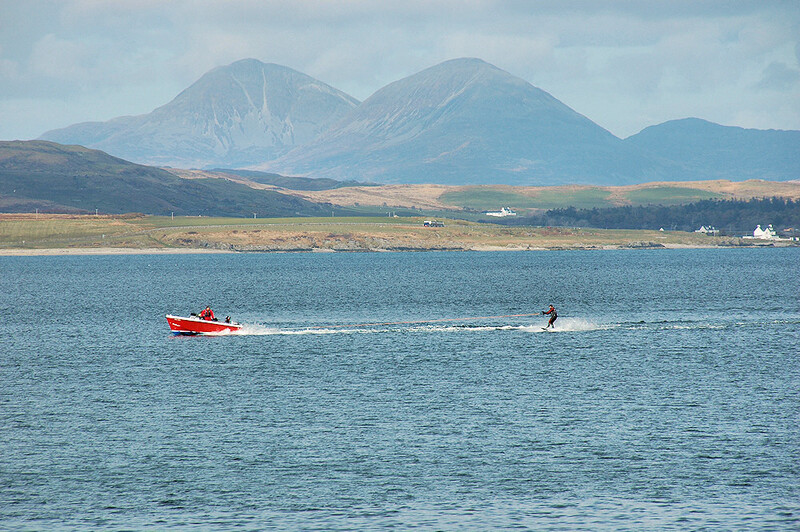 Loch Indaal provides plenty of space for watersports, here someone can be seen waterskiing under the backdrop of the Paps of Jura. The picture was taken from Bruichladdich pier in April a few years ago. This entry was posted in Cloudy Weather, Landscape, Repost, Sea Loch, Sunny Weather and tagged Bruichladdich, Islay, Loch Indaal, Paps of Jura by Armin Grewe. Bookmark the permalink.